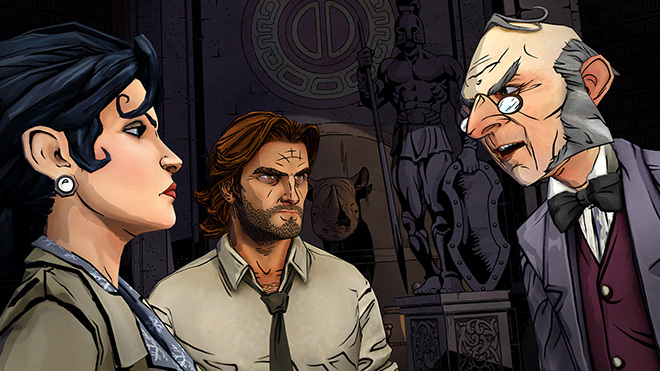 We reviewed the first episode when it released on iOS in December last year. Now that all five episodes are out, we decided to take a look at all of them together. 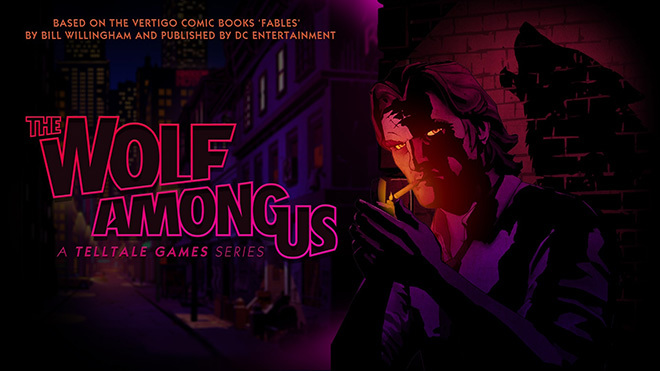 To summarize it again, The Wolf Among Us is based on the Fables comic book series. The story involves famous fairy tale characters having taken human form and living secretly in the human world. 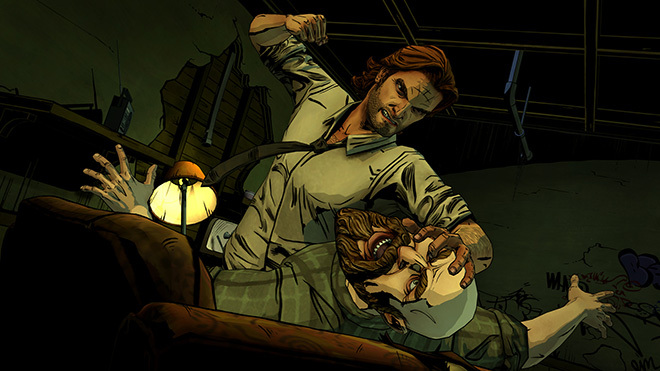 In this game, Sheriff Bigby Wolf (Big Bad Wolf from the fairy tales) is investigating the murder of one of the Fabletown citizens. 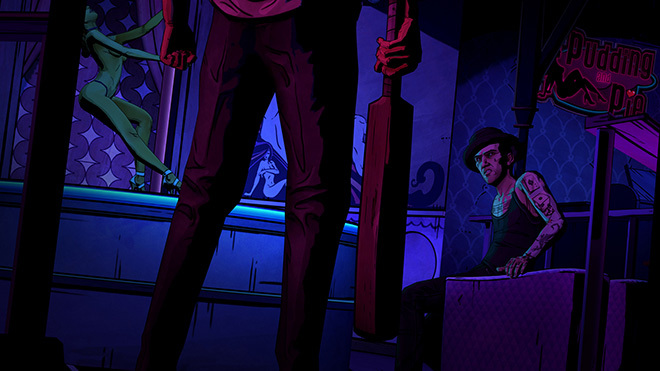 The gameplay is similar to The Walking Dead series. It mostly involves choosing dialogues to say or actions to perform in the course of the game from four options, and depending upon what you say or do (or don’t) you shape the rest of the game. Your words and action decide how the other characters in the game behave with you and you can change the outcome of a situation, which in future affects other things. In some cases, you will be given the chance to kill a character, and that character will no longer exist in the rest of the game, should you choose to kill them. Knowing how much rests on what you select really makes you think hard before choosing something. You also have a limited amount of time before making a selection or one will be made for you, which makes things even more tense. In most cases, you have the option to be a good guy or be a complete monster. You can choose to please one person or the other but rarely both. You could choose to go after one person or the other. And it’s really fascinating to see the game react to your choices and present the appropriate scenario depending upon what you choose. Other than choosing actions, you will often also get into fights, which are essentially just quick time events. On iOS, you just tap on the red circle as soon as it appears to hit or you miss your chance and get beaten instead. Occasionally you have to tap frantically or just swipe in a particular direction. The game does the rest for you. This ‘on-rails’ experience may not be to some people’s taste who may scoff at the lack of any actual gameplay. True, you rarely do a lot in this game and it’s mostly like watching a movie with some interactions in between but despite that it’s still quite enjoyable. The first episode had a spectacular ending that left you hanging for more. The subsequent episodes attempted to recreate that same shock and awe of the first episode but not until the last episode does the game get it back. The story starts getting a bit predictable in the middle and although there are enough interesting twists and turns to keep you interested. There is some detective work in the later episodes, where you have to come to a conclusion and make the right decision based on all the clues you have found. The game maintains a good balance of casual conversations, detective work and fast paced action sequences to keep you on your toes. 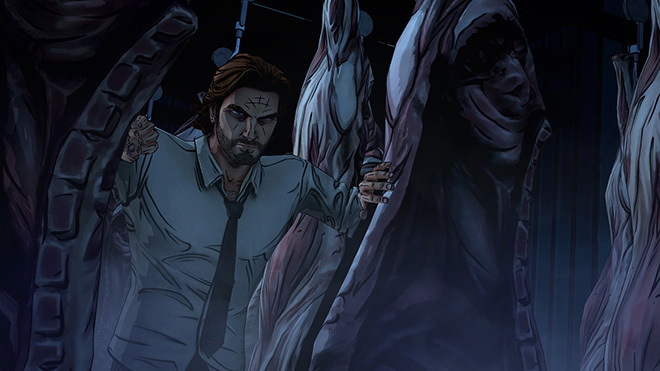 All things considered, I really enjoyed playing The Wolf Among Us. The story is good, the way it is told is good, the characters are great, the gameplay, even if not the traditional first or third person action, is entertaining and really makes you feel like you are contributing to the events in the game rather than just go along a predetermined path. I especially liked the last episode episode and the way it ends. If you haven’t bought the game already, I’d implore you to do so and get all five episodes while you’re at it. You can read the review of the first episode here.